Smartwatches are a dime a dozen these days. So much so that its becoming very difficult to come up with something truly novel. What? Watch, an international company started out of Brooklyn New York, is doing a better job than most when it comes to standing out from the crowd. Its new watch, The Quotes Watch, is a product based on inspirational memes, serving users customized quotes either via a database or through number of social media sources. It also has customizable fonts, style filters and a great minimalistic look. 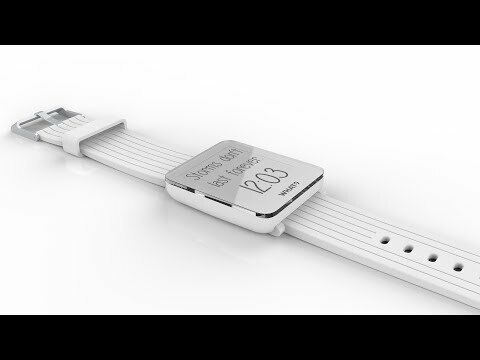 The device follows from the company’s massively successful Calendar Watch. It may seem frivolous at first but inspirational quotes and sayings are a strong part of social culture. What? Watch is of the view that wearing a little bit of inspiration on your arm might serve a similarly positive purpose for young users, especially since the political climate has given memes a bad reputation. This is like weaponizing memes for good. The quotes sit on the watch’s edge dot-matrix e-paper display. You can select your favourite categories from the accompanying iOS and Android smartphone app, as well as how often a quote on the watchface should be replaced. Whether its once every 10 minutes or daily, it’s totally up to you. Selected loved ones can also send you messages directly to your watch. “We hope to get the Kickstarter community to not only back the project but also buy into the idea, so that we can bring inspiring, uplifting words into their daily lives,” What? Watch CEO Igor Basargin said. The default screen is a combination of quote and time. But if you’ve had enough inspiration for the day, swiping left and right will show time only or text only. Available in five different colours, the Quotes Watch will launch in the fall.